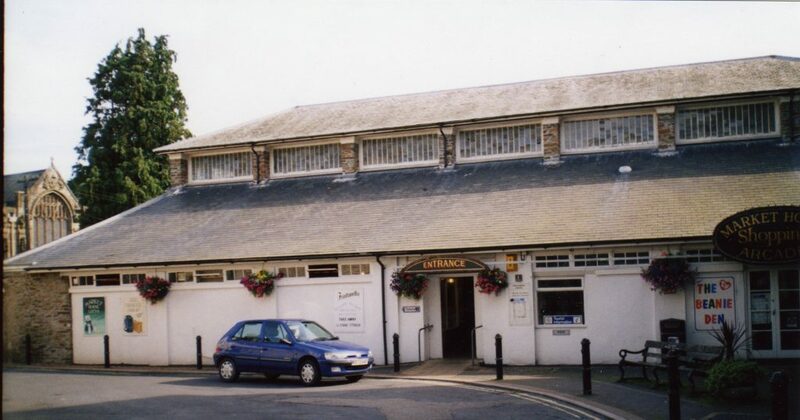 Launceston Meat Market House | Launceston Then! George Wightwick was an artchitect born in Mold, Flintshire, on 26 August, 1802. Mr Wightwick joined a firm of architects in Plymouth and designed many of Plymouth’s buildings, most of which were destroyed during WW II. 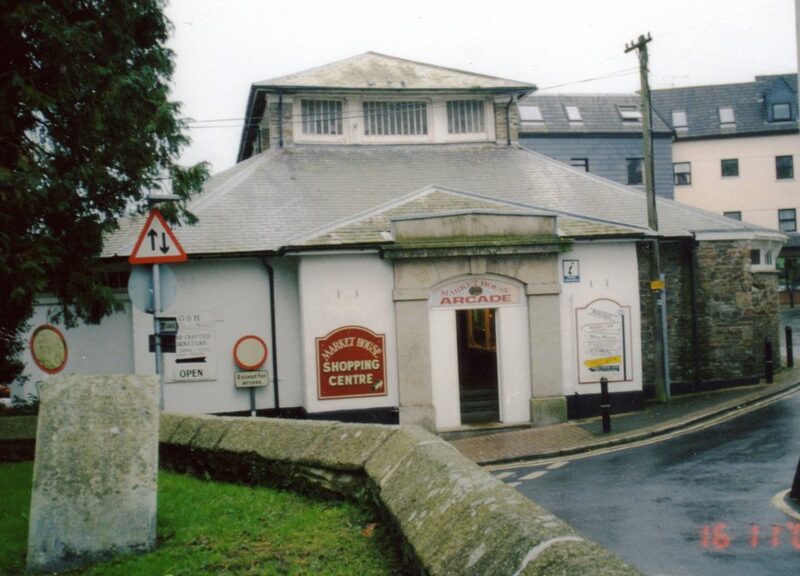 He also had a hand in designing several buildings in Helston, Bodmin as well as several churches around Cornwall. 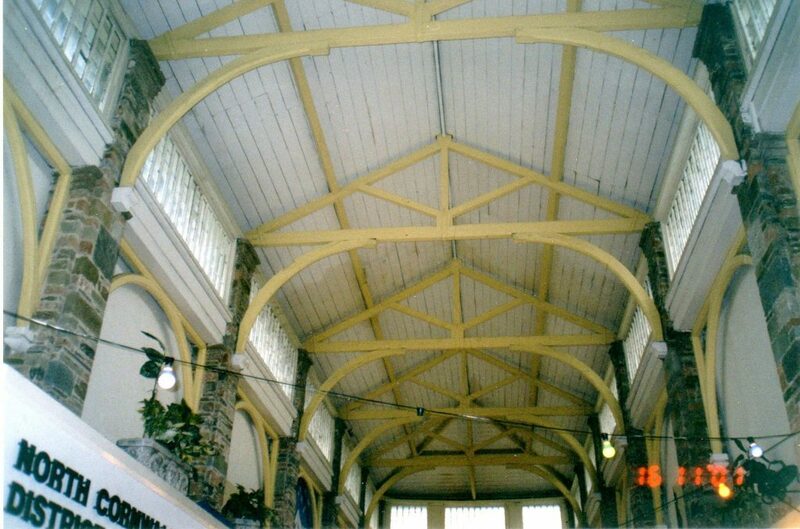 Wightwick designed the Butter Market which was erected in Launceston Square in 1840. It was an oval structure, surmounted with a turret, containing one bell and quarter chimes; it was demolished to make way for the War Memorial in 1921. 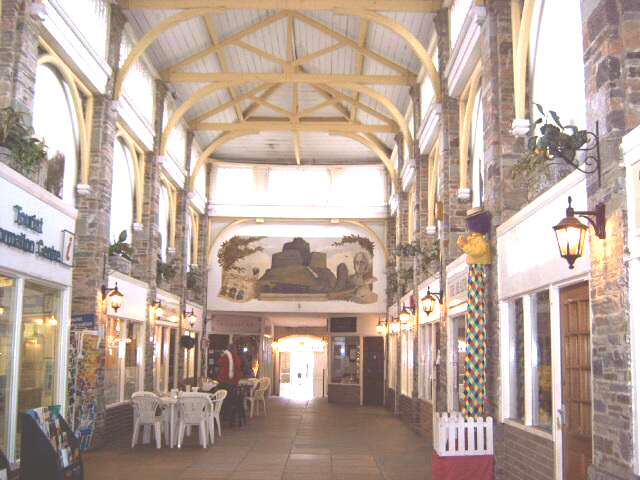 Wightwick, at the same time also designed the Meat Market, now known as Market House Arcade, erected in 1840, to the south of St Mary Magdalene’s church in 1840. 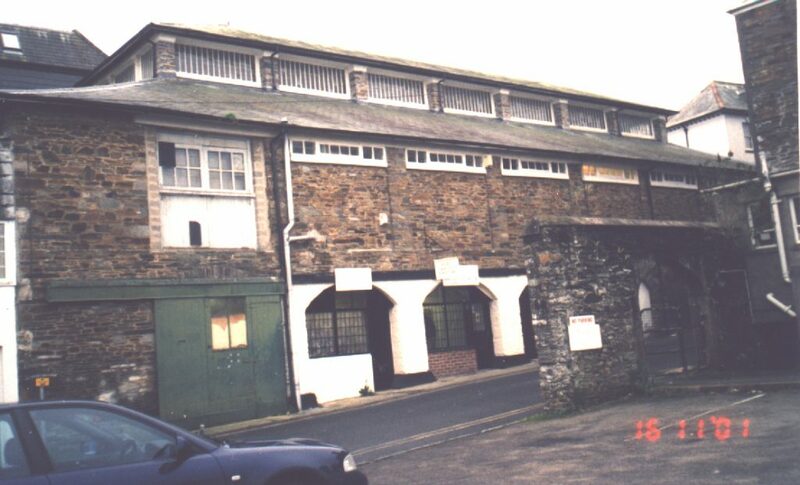 There was a large area of ‘second floor’ in the south end of the building, and after being closed as a meat and fish market, it was taken by a local sales business as a salesroom, the upper part being mainly for second-hand furniture, Later, it was decided to split it up into separate shop areas by adding pillars and adding frontages between some of them. A plaque regarding the architect responsible for these pillars is very misleading.